Part 2 of karate class I taught with my son Eitan at Deheishe refuge camp, Palestine. I travelled with my son Eitan to visit Deheishe and to teach karate to Awlad al Muhayyam, children of the camp. We met my dear brother Mazen Faraj and he took us through Bethlehem to the camp. The sights of the camp and the city were harsh and uplifting at the same time. The bustling of this small besieged city and the faces of the children at Deheishe were uplifting. The ugly wall and the restricted life the children of the camp suffer and the living conditions within the camp, with army incursions and shortage of water and electricity were sad and depressing. A large demo and march to protest the ethnic cleansing of Jerusalem. With Palestinian flags held high and a mixed Israeli-Palestinian crowd this was an impressive sight. The Israeli riot police, having been humiliated in court chose not to show their ugly faces. The settlers too were no where to be seen. Not far from Sheikh Jerrah, in the old city’s muslim quarter one can see more and more Israeli flags raised on houses as Zionist zealots take over more and more houses there. This is a clear attempt to rid the Old City of its Palestinian population. One can hope that soon the marches will go from Sheikh Jerrah through the Old City to Silwan in protest of this trend. As the battle over the future of the entire Middle East rages on with popular protests demanding change on the one hand and reactionary forces fighting to suppress them on the other, we hear that Israel is being called an island of stability. Being an established democracy for over six decades the Jewish State is heralded as a shinning example of a stable, free country the likes of which everyone would like to see all over the Middle East. However, this is merely a smoke screen and there can be nothing farther from the truth. Israel is no “Island of Stability.” The struggle for democracy and human rights rages on in Israel just as it is all over the Middle East, and Israel is waging a brutal and bloody war against the forces of change and democracy not unlike its tyrannical neighbors. There is however one difference: Even though he non-violent Palestinian popular resistance movement that is demanding human rights, equality and protection under the law, all of which Israel denies the Palestinian people, has been going on far longer than the other than its counterparts in the region, it receives little attention. Israeli governments have consistently been reactionary, conservative and highly reprehensible on the issue of civil rights and human rights of the non-Jewish population that they govern. Now that there is no longer a real option to partition historical Israel/Palestine into two states, a clear choice needs to be made: will Israel remain an ethnically racist state where only Jews have rights and non Jews, who make up half of the population, remain without rights or meaningful representation? Or will a democracy emerge that espouses human and civil rights for all who live within it, without regard for race or religion? Just as tyrannical regimes in other parts of the Middle East need to make way for democracy, the same goes for Zionist Israel. Not unlike its Western allies, Israel is happy to have corruptible tyrants at its service and to offer them favors and protection in return. In order to maintain its ruthless hold over all of historic Palestine and fight off the Palestinians resistance, Israel needs corrupt, unprincipled tyrants who are bribable and who will be at Israel’s disposal. Hosni Mubarak and the Hashemite family are two examples as was the Shah of Iran in his day and these are the ones that are well known. Who knows how many other Arab tyrants are covertly bank rolled by the Zionist state. There was no surprise that during the uprising in Egypt Israel supported Hosni Mubarak and lobbied heavily on his behalf in Washington and other capitals going against the pro democracy resistance in Egypt; contrary to the claims made by some that the popular resistance in the Arab world is a Zionist conspiracy, Israel will do all within its power to keep the ruthless dictatorships in the Arab world in place so that it can control the Arab world by terrorizing and bribing them. If and when democratic regimes are finally established in Egypt, North Africa, Jordan and Syria it is likely that Israel will not receive the tacit support it currently has on the issue of Palestine. Since its establishment, Israel has engaged in brutal oppression on the rights of Palestinians. Thousands of Palestinians are imprisoned, beaten and tortured, children are taken from their beds and beaten by soldiers who are armed to the teeth. Now Israel is clearly frustrated by its inability to crush the new waves of popular resistance and as the resistance movement grows and gains more ground and support the Israeli brutality increases as well. 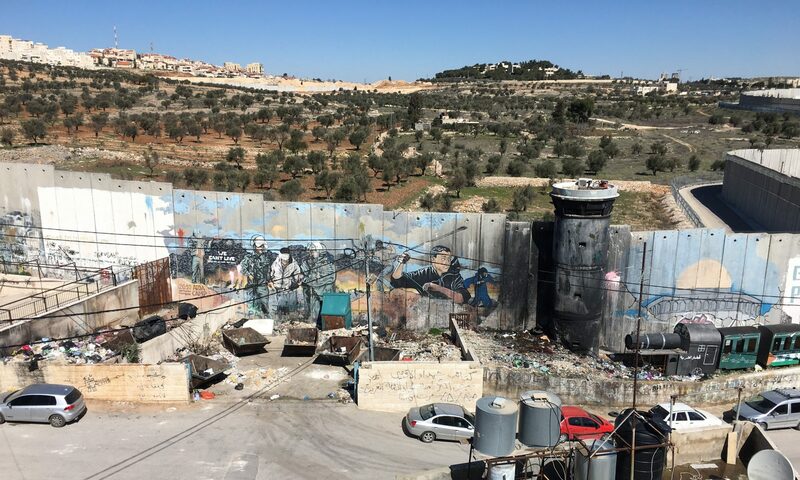 One challenge that still plagues the Palestinians is severe fragmentation. In an interview on CNN Benjamin Netanyahu claimed that reconciliation efforts between the Fatah and Hamas, something for which Palestinian people have been yearning for a long time, is dangerous and must be jeopardized. Again, considering that consecutive Israeli governments have worked tirelessly to bring about the fragmentation of Palestinian society and politics and that they have been very successful, Netanyahu’s statement is not surprising. Having destroyed Palestine in 1948, Israel successfully created a split between Palestinians who remained within Palestine and those who ended up in the Diaspora. This it did by establishing a series of laws that prohibit Palestinian refugees from visiting their homeland and making it intolerably difficult for those who carry citizenships from countries that are friendly to Israel to enter when they come to visit their homeland. Then, Israel managed to create a separation between Palestinians who live within Israel proper and those in the territories occupied in 1967, the former being considered Israeli citizens, and to deepen the separation through laws that limit marriage between Palestinians in the two areas; then a rift between Palestinians who live in the West Bank and Palestinians in Gaza was deepened by forbidding travel between the two regions. Finally, Israel supported the creation of Hamas to counter Fatah and then fueling a bloody feud between the two. So there is no wonder that Netanyahu wants to maintain this fragmentation that has allowed Zionist state to further its iron grip on Palestine and its people. The times are changing all around the Middle East including Israel. Like other tyrants in the region, Israel cannot maintain the current level of violence against the Palestinian resistance without the support of its Western allies. Without the massive cooperation Israel receives from the West, Israel will not be able to maintain its exclusive hold on the land and the oppression of the people and will have to give up its control so as to allow an inclusive democracy to emerge in its place. Rather then let things escalate and allow for more innocents to die, progressive forces around the world need to join hands in condemning Israel and to support the forces that fight for change. What is called for now is a clear demand that all political prisoners held by Israel be released, the separation wall be torn down and that Palestinians be given full equal rights and freedom under the law and that Palestinians be allowed live and travel anywhere within Israel/Palestine. Just as people of conscience around the world hope to see the old tyrants like Mubarak and Qaddafi toppled, so must they act so that Zionist Israel will be transformed into a secular, tolerant, pluralistic democracy. A democracy in which all citizens enjoy equal rights and have a say in their future. As the drastic changes in the Middle East took place with little warning, one may expect that little warning will be given and that change will happen within Israel/Palestine sooner rather than later. Those who stand beside Zionist Israel now will later come to regret it and the stain of shame will be hard to erase. As it is the Zionist state will go down in history as the lowest and most shameful chapters in the long history of the Jewish people. Benjamin Netanyahou, premier ministre d’Israël déclarait ces derniers temps, Ce qu’il nous faut pour résoudre ces problèmes complexes [pour aboutir à la paix], c’est une façon de penser nouvelle et créatrice . Netanyahou n’a jamais eu autant raison.